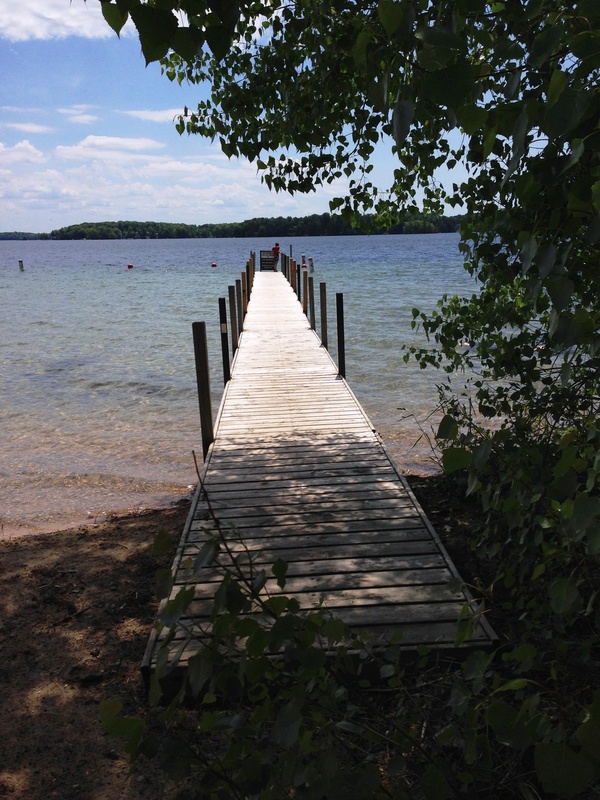 This view off the dock shows how crystal clear the water is. 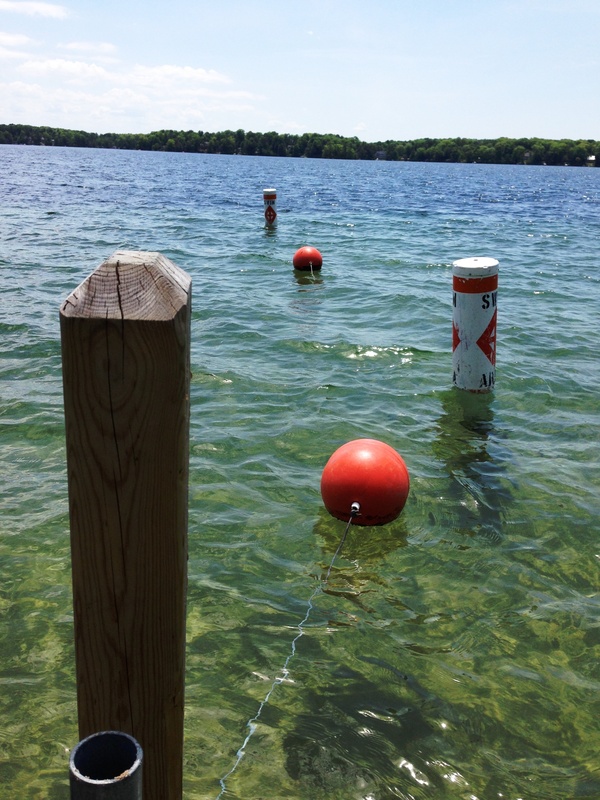 And it is surprisingly warm for such a large and deep lake. Especially considering it was frozen solid not too many weeks ago. The sandy beach is well maintained by the township who rakes any debris that washes up on shore daily. It’s a great place to bring little ones to play. 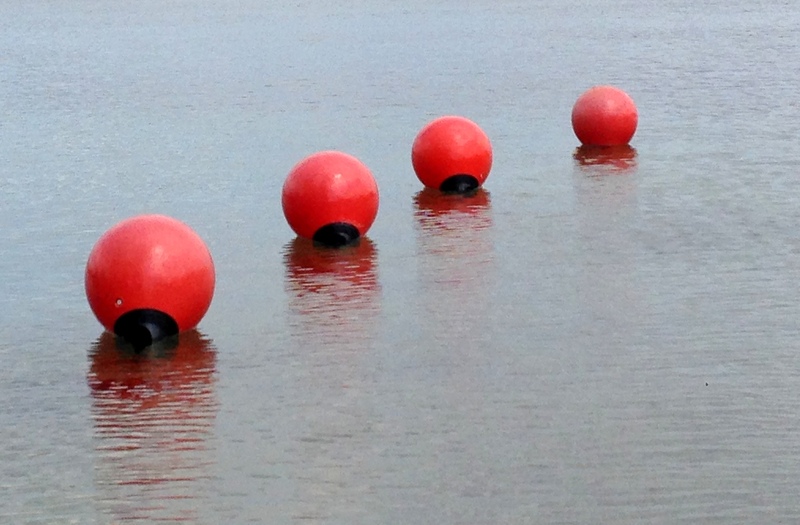 The swimming area is clearly marked with buoys. And there is plenty of space to play on the beach. 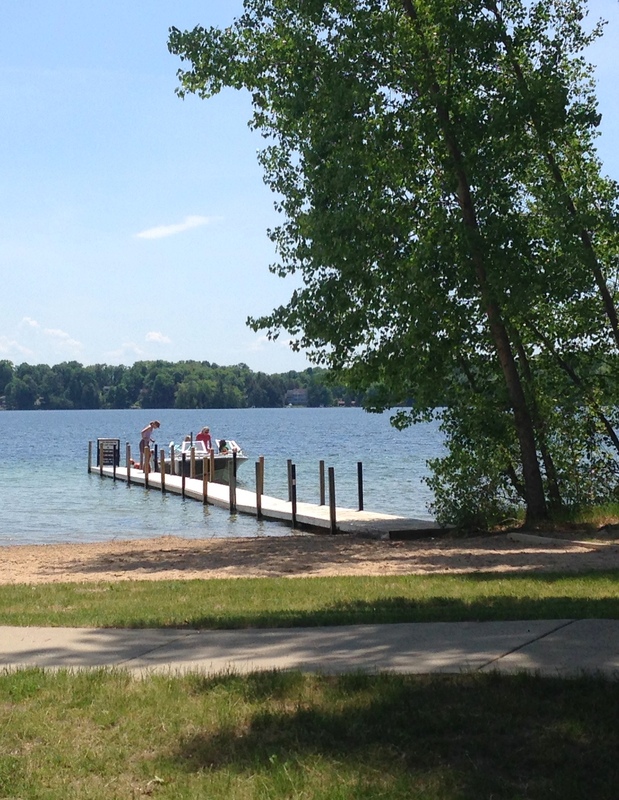 Even on busy days it doesn’t seem crowded in the water here. 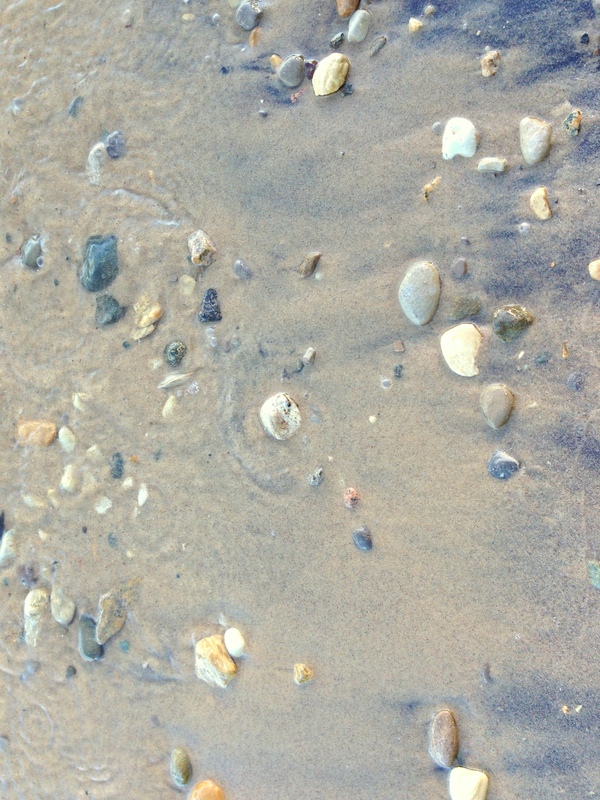 The lake bottom is nice, firmly packed sand with sparsely scattered smooth rocks. 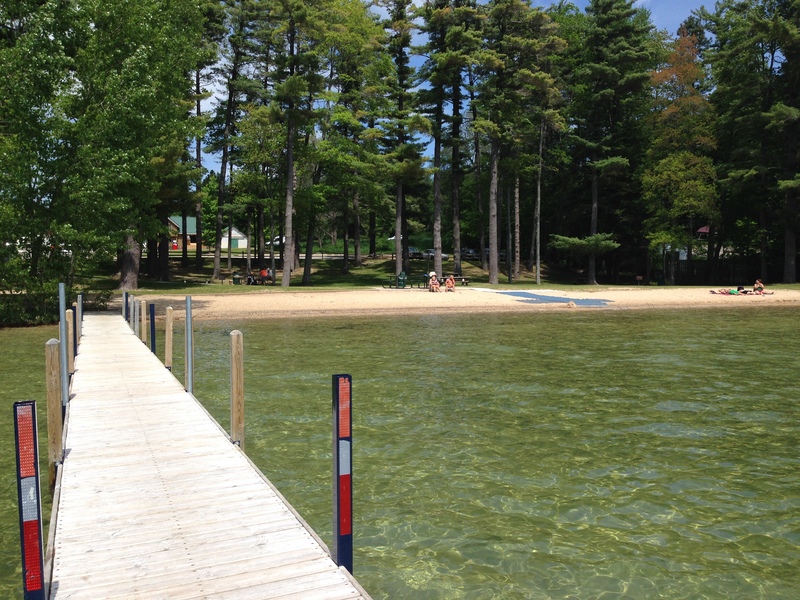 It is very easy on the feet to walk out in the water! 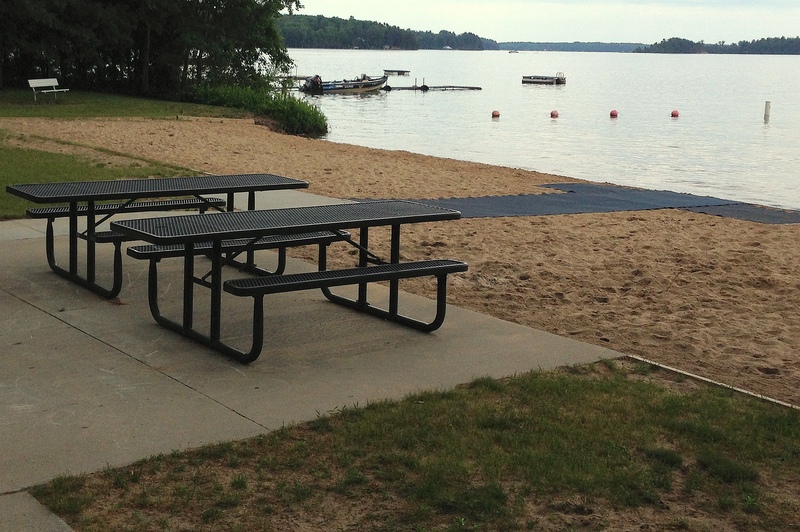 Taylor Park is a handicap accessible park with a paved sidewalk coming down from the parking lot, a cement patio near the water with two accessible picnic tables, and a sand beach access mat down to the water. 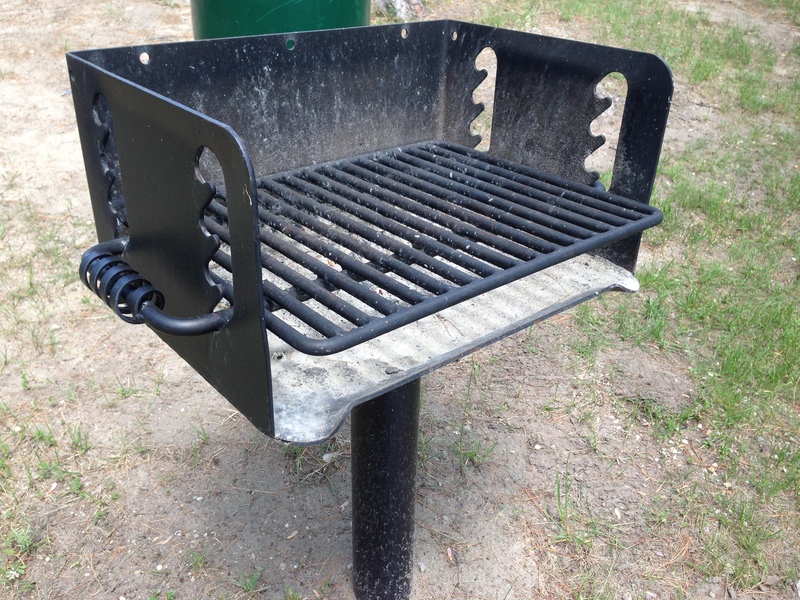 Just remember to pack your charcoal. 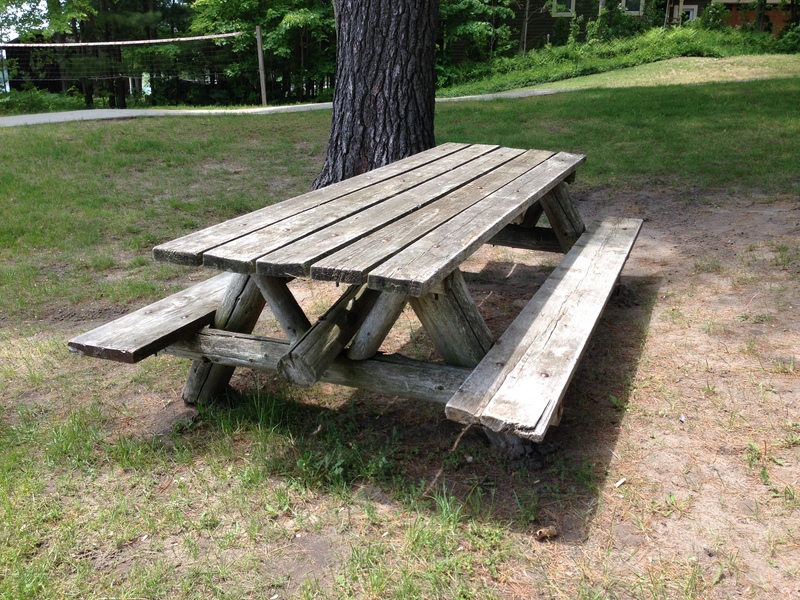 If you make a mess at your picnic, there is even running water for cleaning up. Well sort of running. 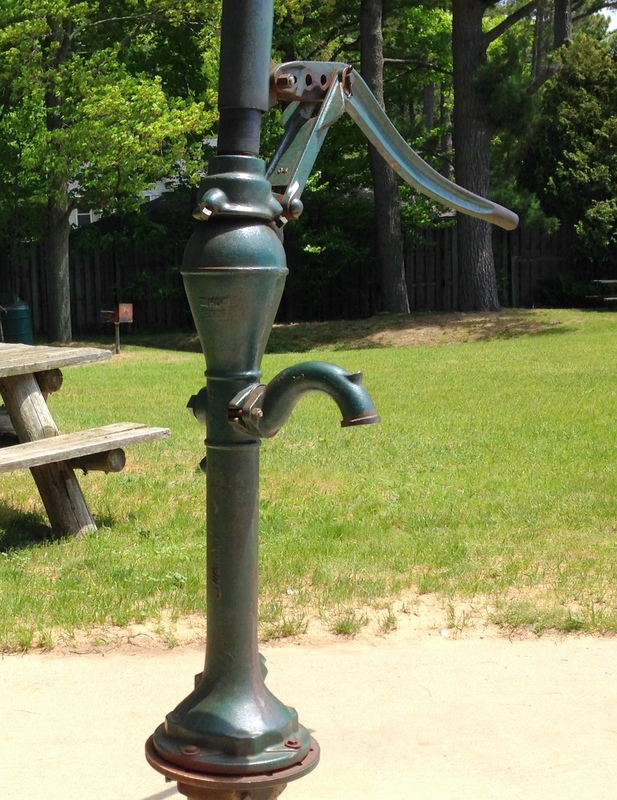 Remember pumping for water? This will take you back! I love the squeaky sound the pump makes. It reminds me of when I was little. When we use to go camping Mom and Dad would send us kids to fill up the water jugs. It is a little bit of work, but well worth it. The pump also comes in handy after playing in the sand. You can rinse your feet before getting back in the car to go home. 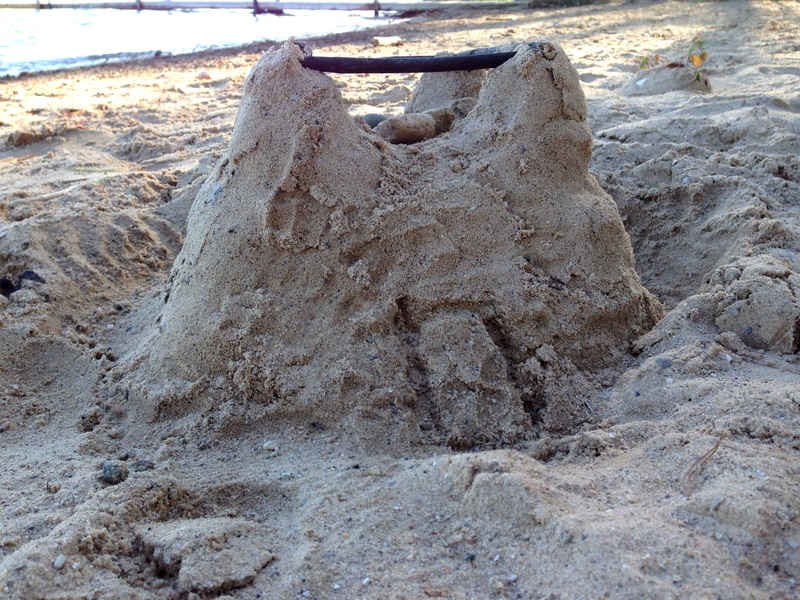 So don’t let the thought of a sandy vehicle keep you from building sand castles with your little ones. The township maintains clean outhouses onsite as well, so no need to rush off when the need arises. 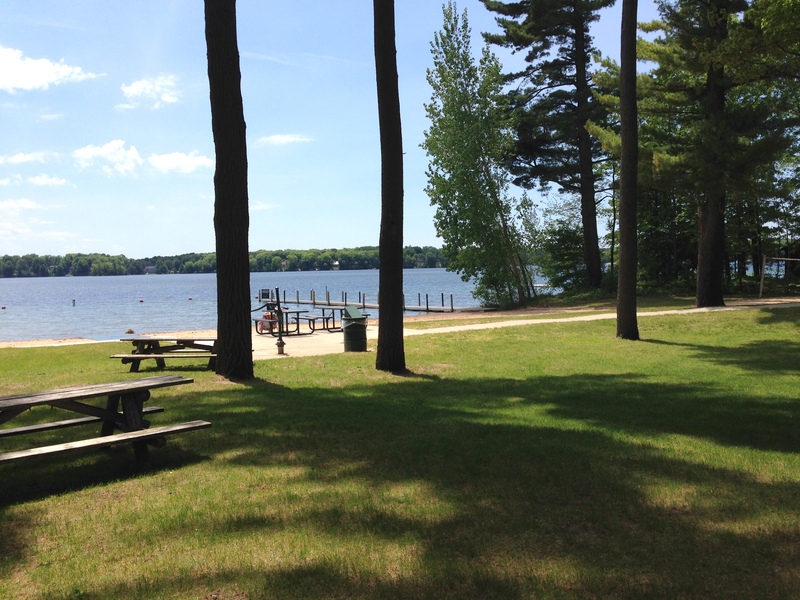 With ample space for family picnics, the beautiful sandy beach and plenty of shade to get out of the sun, you can easily spend an entire day relaxing at Taylor Park in Traverse City. ← I’ve been Chasing Rainbows-You’re in for a Rare Treat!